It’s the Firm’s 11th anniversary! WOW! 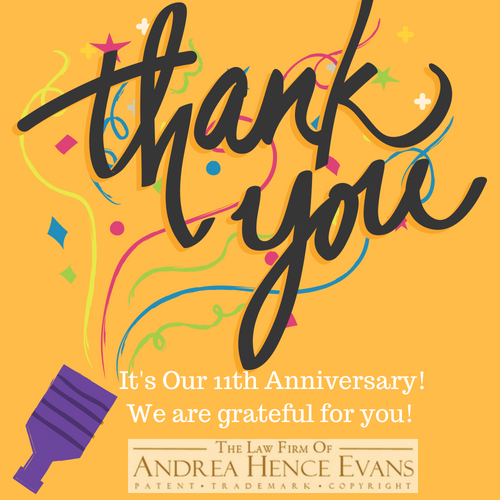 Thank you for your continued support and trust of your intellectual property with The Law Firm of Andrea Hence Evans, LLC!  Times flies!